Tiffin Green is a dynamic five-director company offering so much more than traditional accountancy services: combining technical skills and strategic vision to help businesses grow and prosper. Aiming to make a difference to growing businesses: we have a passion for helping small and medium sized businesses succeed through best practice and proactive advice. 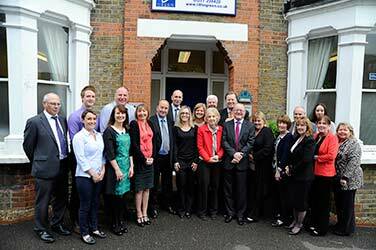 Our friendly and experienced team works in partnership with clients to deliver an efficient and quality service. This relationship is underpinned by our strong client-focused culture, through knowing our clients businesses inside out we are able to easily identify problems and spot opportunities, which ultimately helps improve profits and encourage sustained growth. Whatever we do for you we will always carry out our work with the aim of adding value to your business. We run a very cost effective business through using the latest technology, however we will never be the cheapest solution. "It's unwise to pay too much, but it's also unwise to pay too little. When you pay too much you lose a little money that is all. When you pay too little, you sometimes lose everything, because the thing you bought was incapable of doing the thing you bought it to do. The common law of business balance prohibits paying a little and getting a lot. It can't be done. If you deal with the lowest bidder, it's well to add something for the risk you run. And if you do that, you will have enough money to pay for something better". A unique feature of our service is fixed price agreements; once we have established your needs we will give you a guaranteed fully inclusive price from the start. This will give you peace of mind and no surprise bills. We offer unlimited access to all our team. This means that you can call on us at any time knowing that you will never be charged for our time. So we hope that you will feel free to speak to us whenever you need to, without having to worry about the cost. If any extra work arises from this free initial consultation, we will give you a fixed price quotation for the extra work before it is started. Our team continually keep up-to-date with changes in legislation and best practice.